About | Was Mom Wrong? Brian takes a humorous approach to shattering health and leadership myths that can limit your potential. His interactive style is entertaining and appeals to a wide variety of groups and organizations. Brian speaks to school districts, colleges and universities, government agencies, small and large businesses, hospitals, non–profit organizations, and national and international associations. 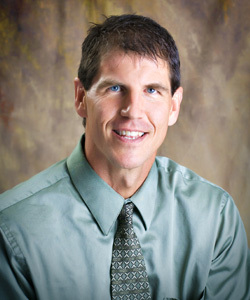 Brian is a Full Professor in the Department of Exercise and Sport Science and also serves as the Director of Online Education at the University of Wisconsin-La Crosse. He earned his Bachelor’s degree in Sports Medicine from St. Cloud State University, and earned both his Masters (Health and Physical Education) and Doctoral (Science Education/Exercise Physiology) degrees from Syracuse University. He has published over 50 articles in scientific journals, five book chapters and a book titled “Twenty-five ways to cure the hiccups: uncovering the truth behind 101 common myths and misconceptions”. Brian loves speaking on the topics of health and leadership and would welcome the opportunity to speak to your group in the near future!